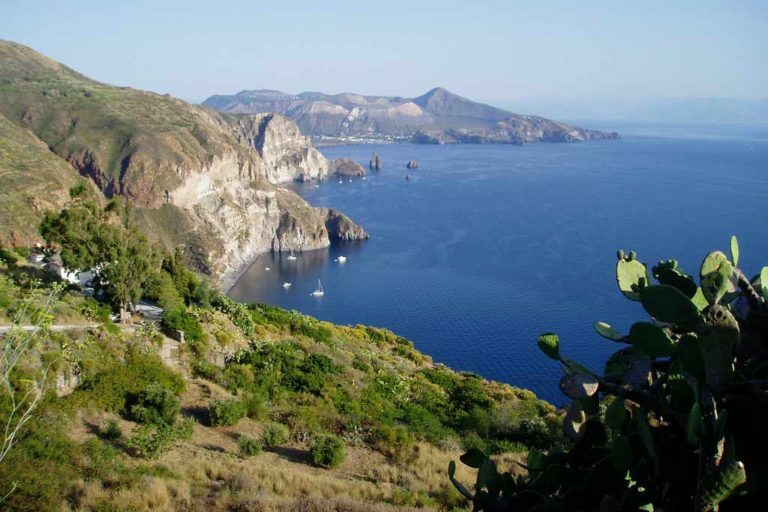 The island tour is one of the first things to do having just arrived in Lipari, to appreciate its grandeur and civilisation. 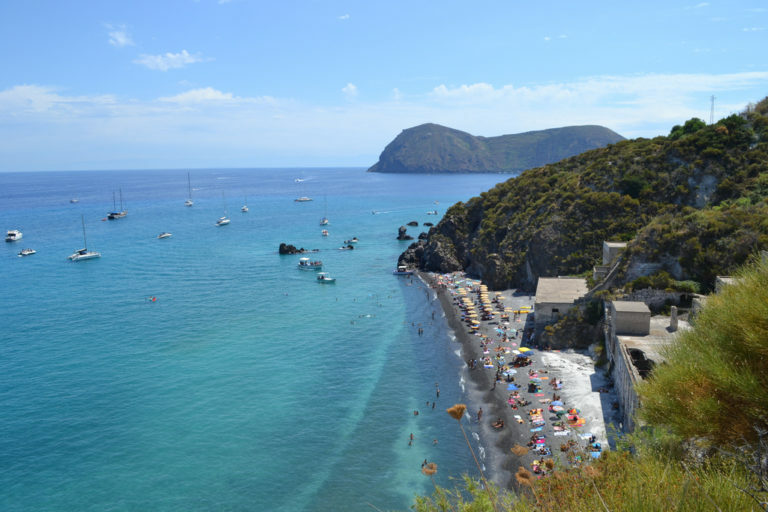 Around 4 km from Lipari, you arrive in Canneto, situated on a defined cove to the south-east of Monte Rosa and to the north of Monte Pelato. From Canneto, following the road that leads to Pirrera church, you reach Forgia Vecchia, the Rocche Rosse and the Campo Bianco; the first two famous for their obsidian flows, and the latter for its extensive pumice. 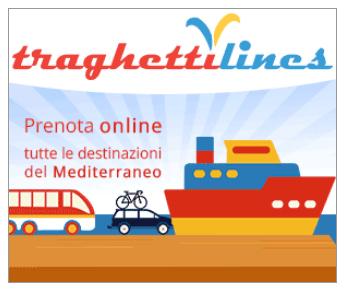 Following the road that leads to Acquacalda, you arrive in Porticello, which is beneath overhanging white pumice deposits. 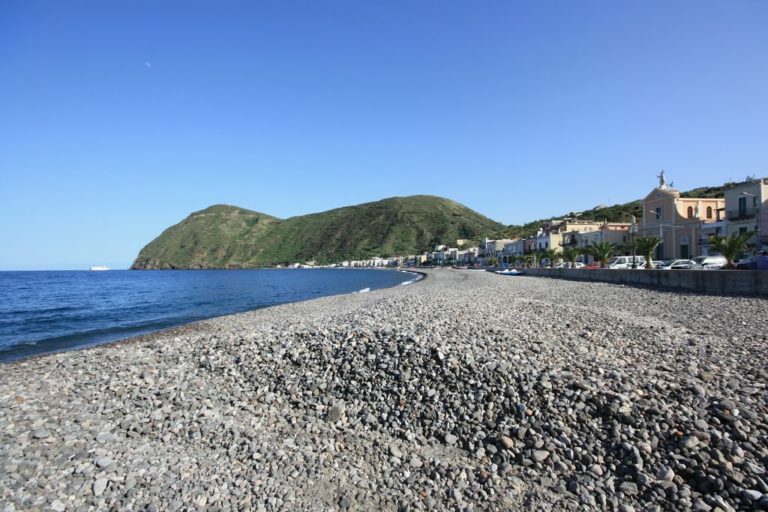 Passing the Punta Castagna promontory you meet Acquacalda, where there is a beach with the pumice quarries uphill. From here the climb starts towards the mountain up until Quattropani village, situated on a promontory, exactly opposite the island of Salina. Continuing on, the village of Pianoconte, with its white colonial houses, rises up on a highland cultivated with vineyards. Around a quarter of an hour from Pianoconte, you find the S. Calogero spa baths, built in 1867 and noted from ancient times for their therapeutic virtues. This is confirmed by the presence of a Roman sauna cave, which dates from around 3,500 years ago, and the “Tholos” of the Mycenean civilisation, brought back into use during the 1984/85 restoration works. 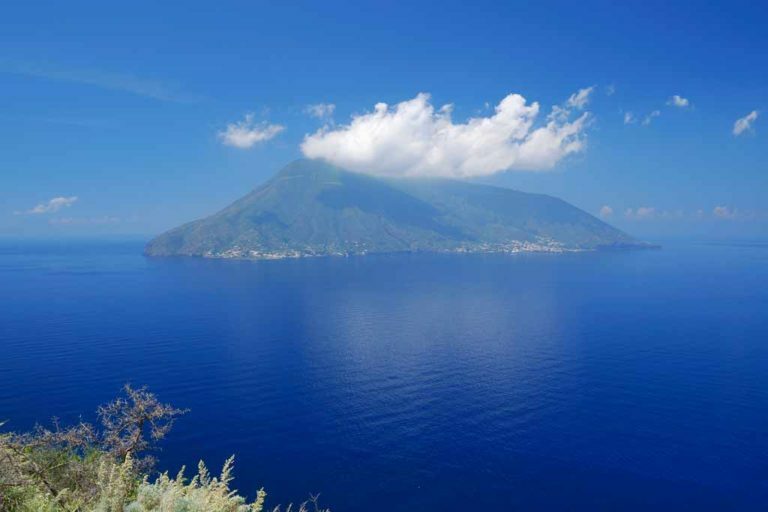 Returning on the main road you arrive at the impressive Belvedere dei Quattrocchi, from where you can admire the upper coast’s picturesque caves, the charming view of the crags, and in the background Vulcano island. 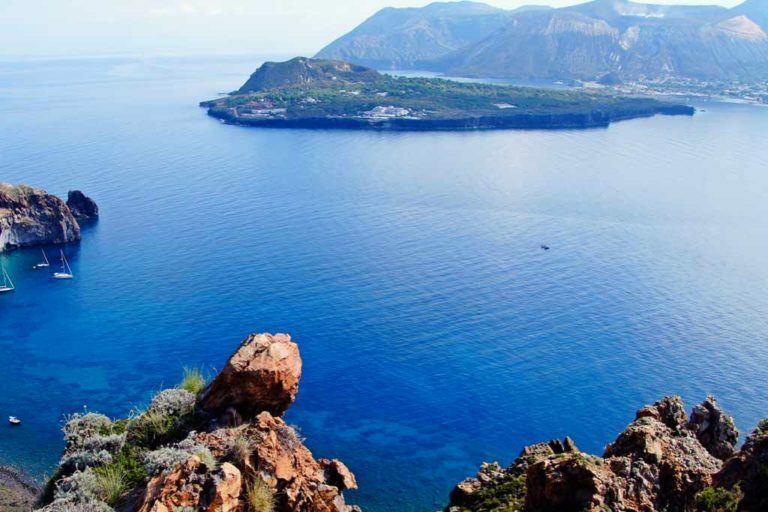 Returning afresh on the main road, in the direction of Lipari, an interesting diversion could be the pathway that scrambles up among Monte Guardia’s vineyards. At the mountain peak you find the international geophysics observatory.